Sean Szymkowski June 13, 2018 Comment Now! 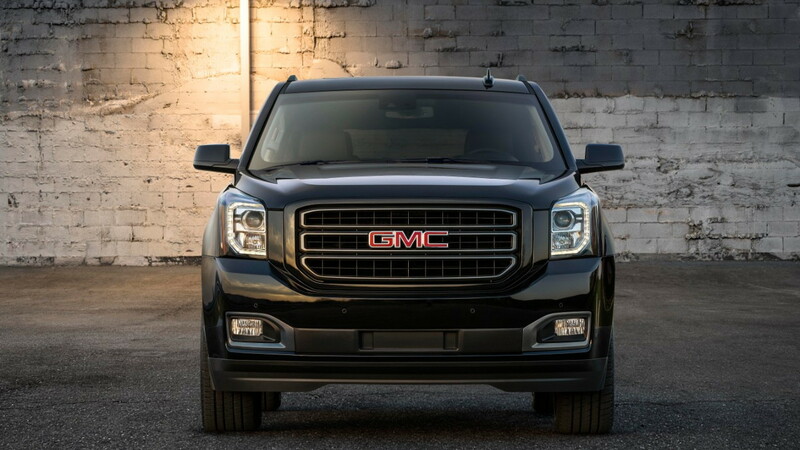 GMC has added a splash of darkness and a dose of performance to the Yukon full-size SUV. 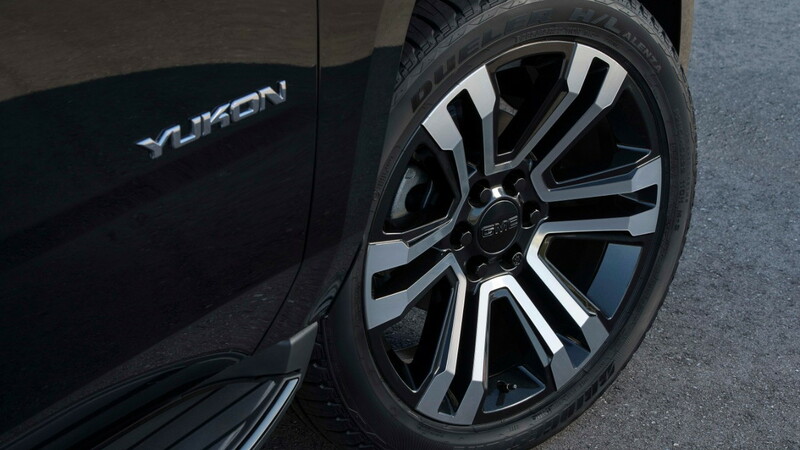 The brand on Monday revealed the 2019 Yukon Graphite Edition and Graphite Performance Edition. 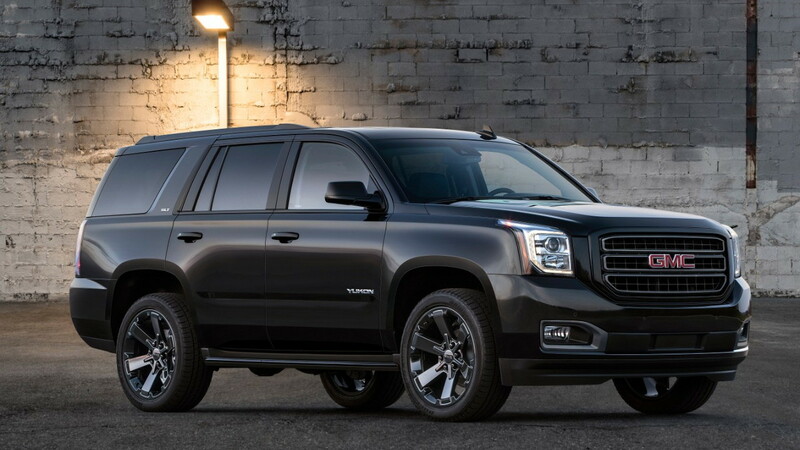 The better of the two is undoubtedly the Yukon Graphite Performance Edition, which gains all of the exterior design elements plus a 6.2-liter V-8 engine. It's the same engine that graces the Tahoe Rally Sport Truck and Suburban Rally Sport Truck (RST) from Chevrolet. 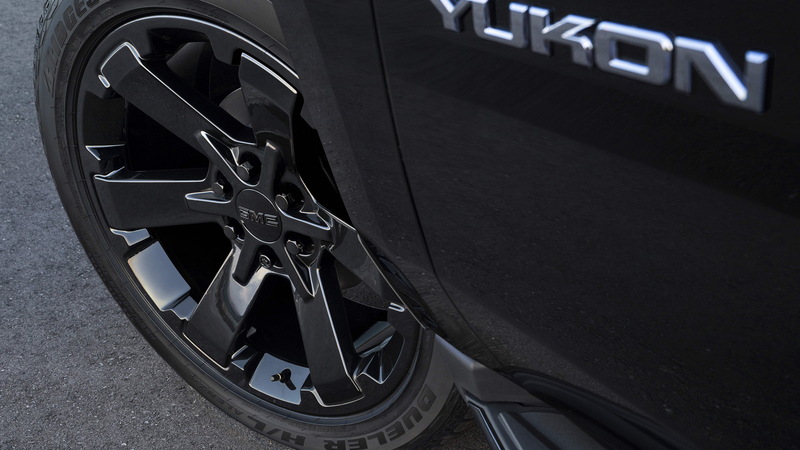 However, the Chevys gain extra performance equipment, such as a new exhaust and bigger brakes; the Yukon Graphite Performance Edition only receives the gutsier V-8 and a specific tune for the SUV's magnetic ride suspension. Other mechanical bits included with the Graphite Performance Edition include a 10-speed automatic transmission, active two-speed transfer case for 4WD models, trailer brake controller, high capacity air cleaner, and a 170-amp alternator. Inside, the performance-oriented SUV gains Bose active noise cancellation, a multi-color head-up display, and an 8-inch touchscreen with navigation. For those not looking for the extra go provided by the Graphite Performance Edition, the regular Graphite Edition adds loads of blacked-out elements. The host of changes include 22-inch bright machined wheels with carbon flash metallic pockets, black chrome grille mesh insert and fog lamp surrounds, body-color grille surround, black roof rails, gloss black beltline moldings, and more. The Graphite Performance Edition also gains the blacked-out trim. GMC said both packages can be applied to the Yukon's SLT trim in both RWD and 4WD configurations. Buyers will have three exterior color options: Onyx Black, White Frost Tricoat and Dark Sky Metallic. Pricing was not included in GMC's announcement, but the SUVs go on sale this summer.